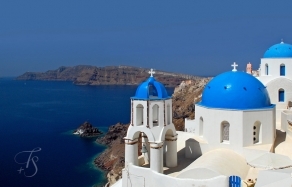 Our regular readers know about our fondness for Greece's most famous island. We love Santorini for many reasons—not least because the island has no impersonal big hotels, or mega-resorts: the small is always in fashion here. 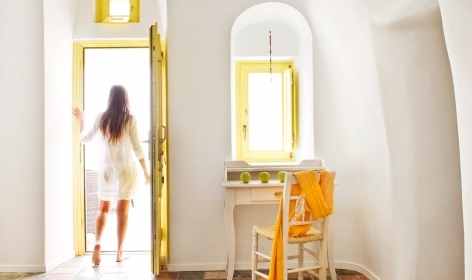 But which boutique hotels top the charts—for us? Hint: it's about the good looks! 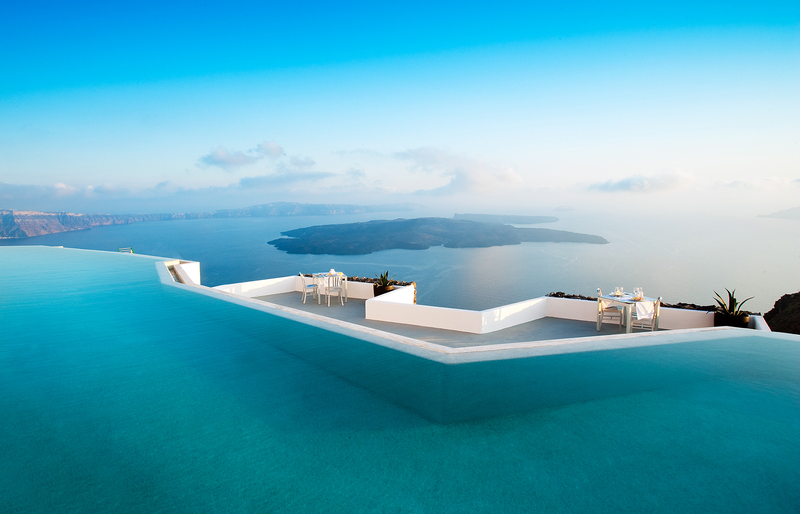 When compiling this list, we asked ourselves: which boutique hotels are quintessential to the experience of Santorini? Which deserve to be called “the best” in one of the most spectacular—and popular—places on Earth? The location of all the best hotels is similar. They are perched on the cliffs on the west side of the island: in Fira, Oia, Firostefani, or Imerovigli. There is no mystery here: location matters. Sprinkled with white towns and villages, Santorini’s magnificent volcanic cliffs are the single biggest reason for why this destination is such a tourist magnet. 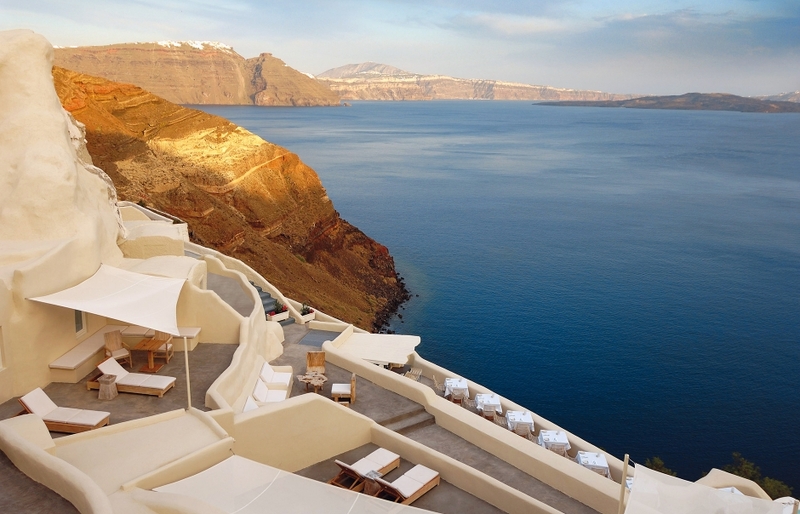 With breathtaking views and the best sunsets in the world, splurging on a great cliff-edge hotel in Santorini makes sense. But the hotels on our list in particular stand out above the crowd thanks to their impeccable interior design, their fantastic architecture and style that makes their guests want to spend most of the day lounging on their private decks. 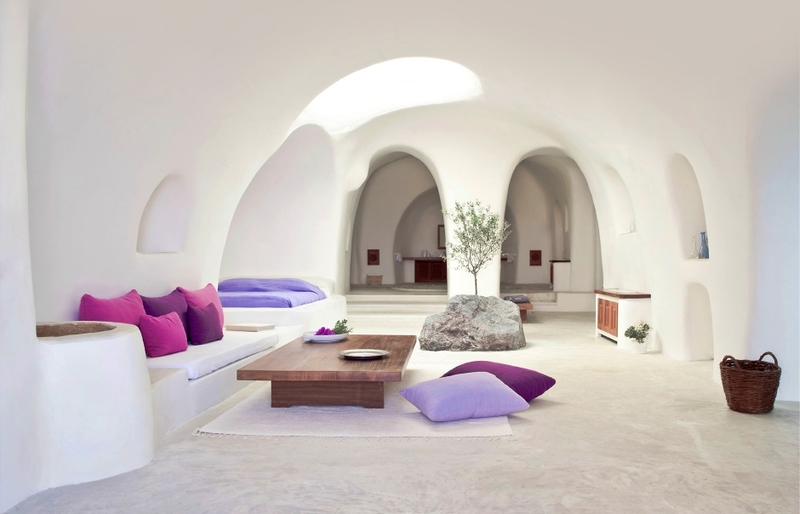 Mystique’s designers created a successful fusion of comfortable luxury and traditional Cycladic style, in which all architectural elements are perfectly aligned with the landscape and spirit of the island. 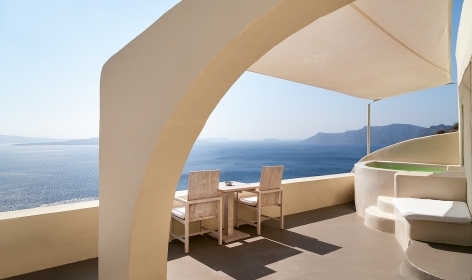 Its eighteen cozy suites and villas provide guests with spectacular views of Santorinian caldera. 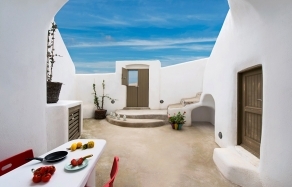 We love it for: Mystique is located far from the tourist track, and is one of the most private and secluded places in Oia. 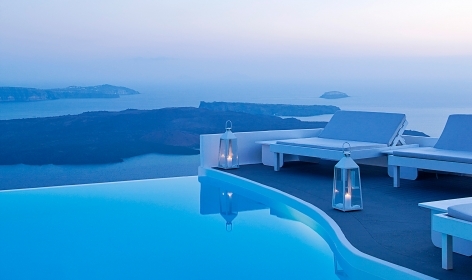 Read our review: Mystique Santorini, Greece. 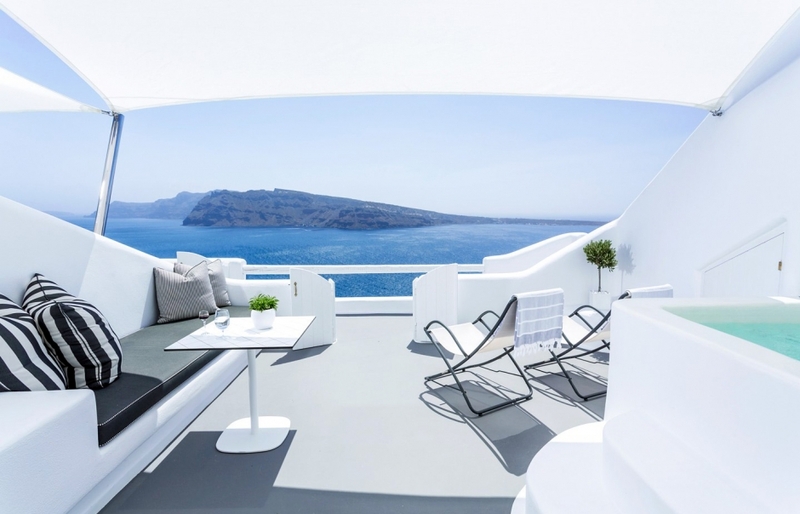 The award-winning design of Grace Santorini injects contemporary edginess to the classic style of Cyclades, its low-key architecture allowing the iconic seascape to take centre stage. 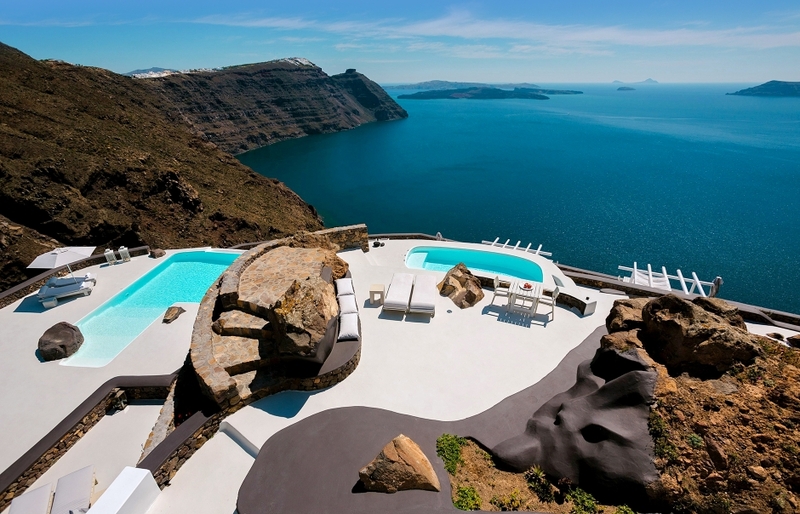 We love it for: Mesmerizing views and sunsets and private plunge pools—Grace Santorini frequents the ‘best hotels of the world’ lists like no other hotel. 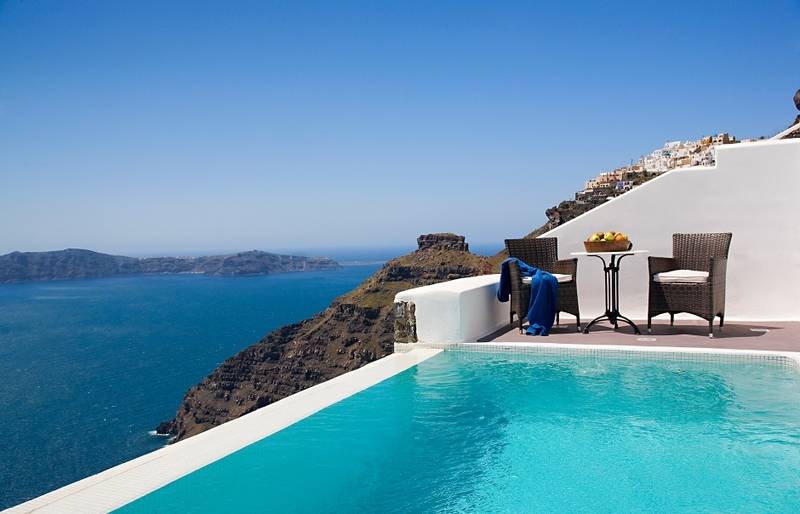 Read our review: Grace Santorini, Greece. With no restaurant, lobby, bar or big swimming pool, and consisting of only four cozy apartments, Dreams is as small and as exclusive as the boutique hotels get. Located on one of the highest point on the cliffs surrounding the Santorinian caldera, secluded and private, Dreams is an ideal place for a romantic getaway. We love it for: Magical atmosphere… especially at sunset. We recommend the two-level Armonia suite, where we stayed. It’s perfect! Read our review: Dreams Luxury Suites and see the gallery of our photos. We love it for: At Perivolas the proven formula of beautiful views, cliff edge swimming pool and minimalist interiors has been applied perfectly, resulting in a truly iconic place. 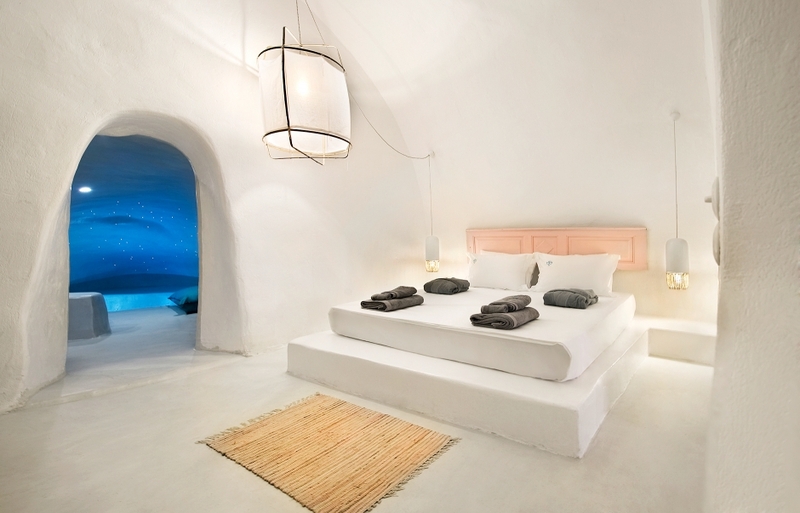 This is the first luxury hotel on Santorini that embodied the island’s natural geology as an integral part of design. 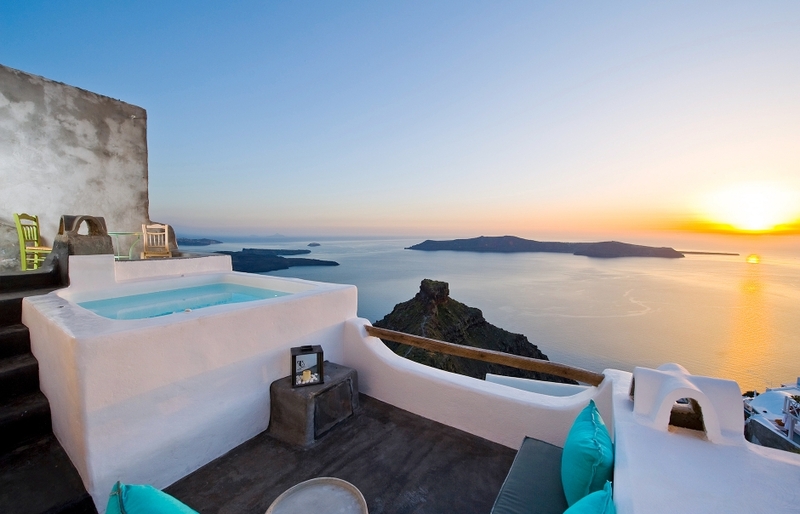 Katikies Santorini tuned the Santorinian aesthetics to perfection, becoming a benchmark for the Santorini style. 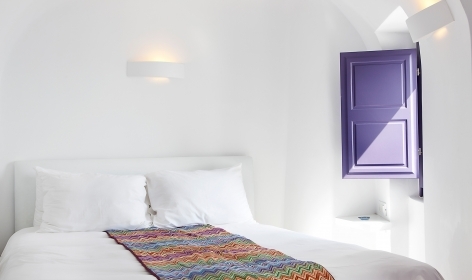 We love it for: The hotel is located in Oia, one of the prettiest villages on the island. 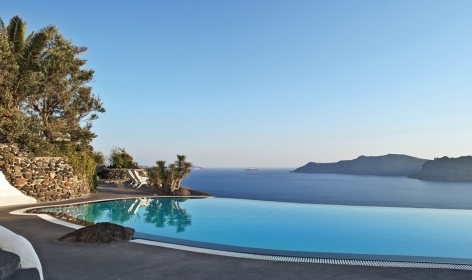 It has fabulous views of Santorini’s caldera—especially from around its three (!) stunning infinity pools. 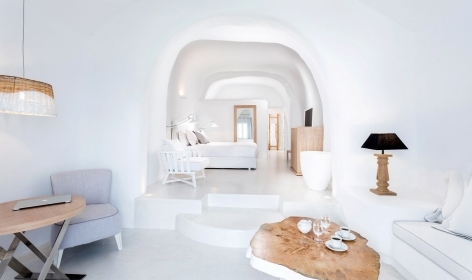 Chromata Up Style Hotel is cut above a standard Greek island hotel, with dinky white cave houses spilling down the cliff edge, impeccably maintained public areas, cozy rooms and huge bathrooms. Add an excellent restaurant and unimpeachable service, and you have something special. We love it for: Glamorous contemporary design and ultra modern facilities. 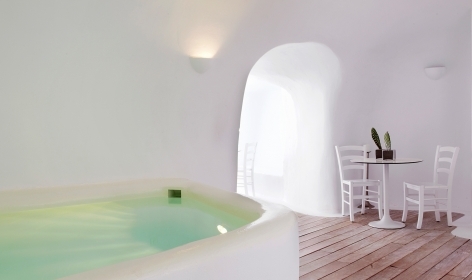 Read our review: Chromata Up Style Hotel, Santorini. Using beautiful stonework and layered light themes Aenaon Villas has created contemporary interiors with plenty of private space. The hotel’s unique design identity is built on a foundation of simple luxury. 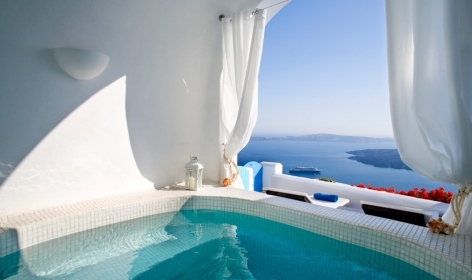 We love it for: Secluded location, between Imerovigli and Oia. 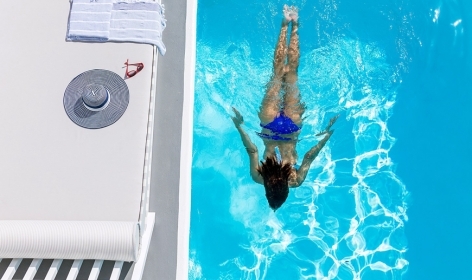 Combining Greek flavours with the comforts of contemporary lifestyle, this luxury resort provides tranquil atmosphere permeating all spaces of the hotel. Kirini Suites & Spa’s discreet service is part of the hotel’s appeal. 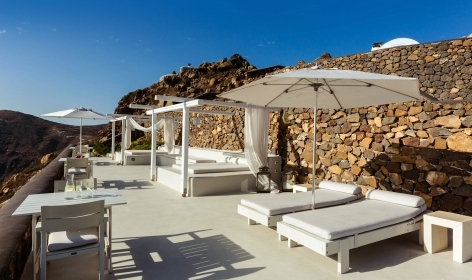 We love it for: Kirini offers great spa experience, maybe the best on the island. 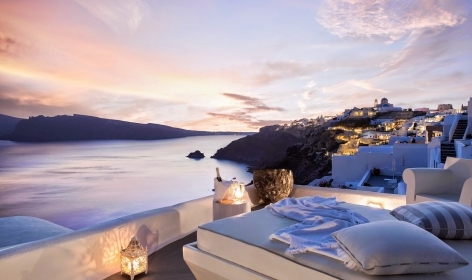 The all-suite Charisma Suites in Oia contemporary style meets local aesthetics, blending them into beautiful interiors. 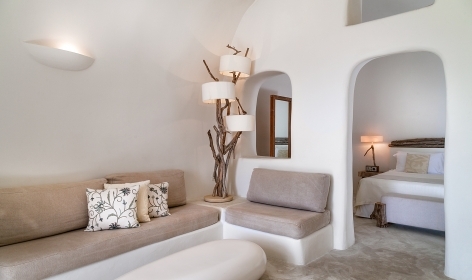 The design of these luxury suites symbolise the Cycladic allure. We love it for: Great sense of style, with chic furniture and clean lines. 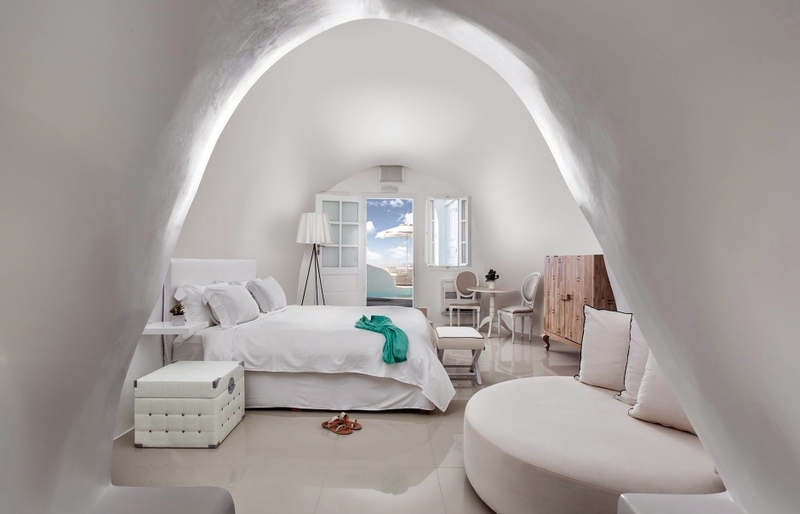 Carefully renovated and reconstructed, the thirteen individually designed rooms and suites of Sophia Luxury Suites are some of the island’s most immaculately designed. The result is a kind of natural, raw elegance that is at once authentic and sophisticated. 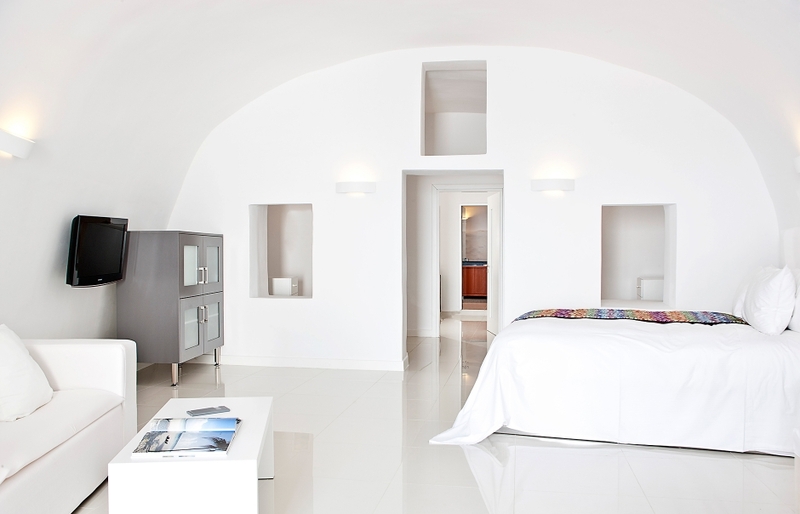 We love it for: The suites are very spacious, especially when compared to most of other Santorinian hotels. Two of them even have an indoor heated pool, beautifully lit with LED lights. 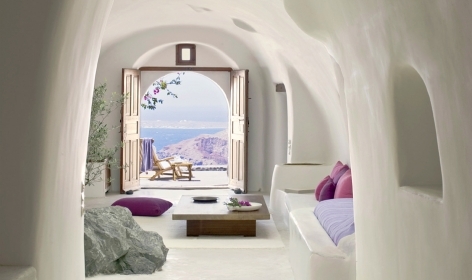 Read more: Santorinian harmony at Sophia Luxury Suites, Greece.